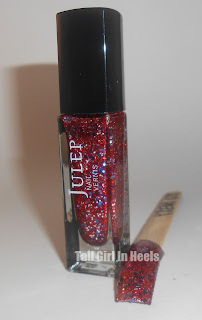 Today, I'm going to talk about my Julep Maven Box. Once a month, I share my box with my readers. 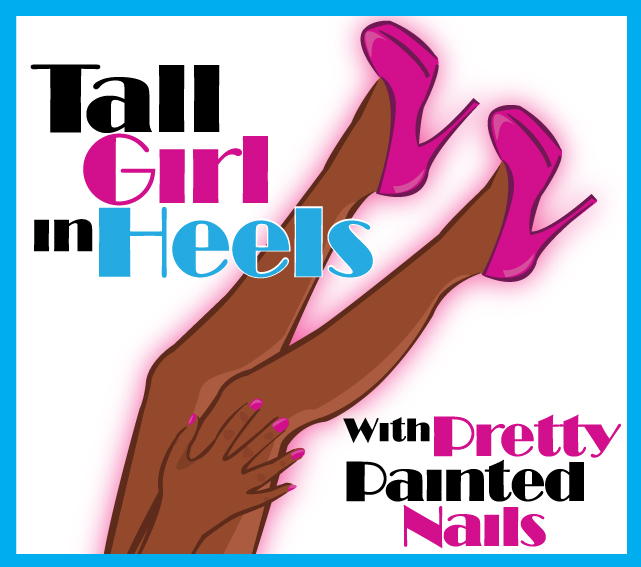 As most of you know, I'm an "It Girl." I've never changed my box, skipped a month or even sent to a friend. 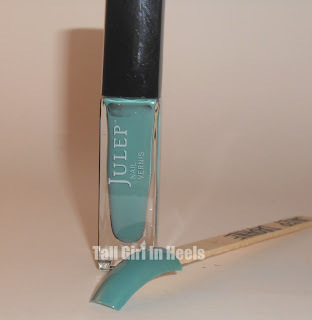 You can do this if you are Julep maven. 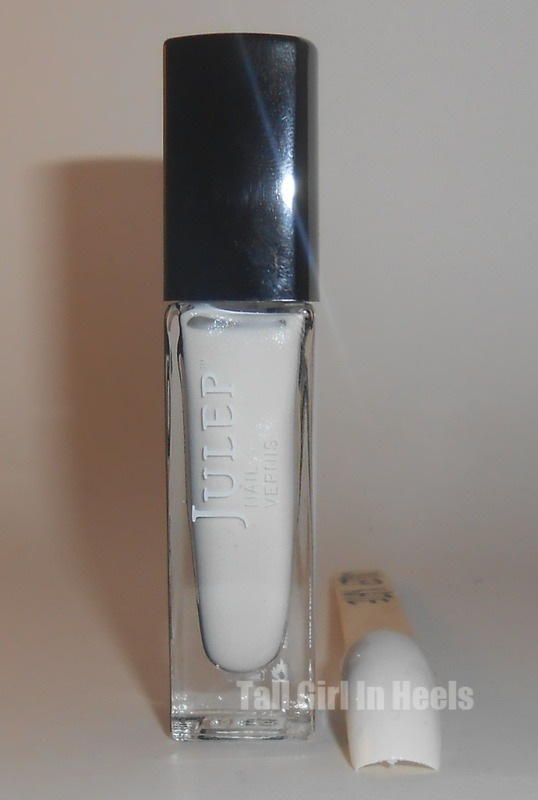 To sign up to become a Julep Maven just click here. You can sign up for ONE CENT using promo code: COLOR2012. So, hurry and become a maven today. appear charcoal. Mila applied very well and will need two coats of top coat to achieve a smooth finish. Kate is a nice white. When applied I didn't notice any streaks, but Kate was just a tad darker than the nail on my swatchicle. America is also known as America- The Beautiful. She is red with blue and silver glitters through out. 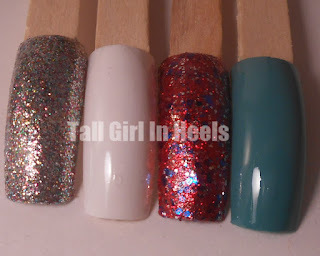 She was a perfect Independence Day polish for the USA! She's very pretty and applied very well. 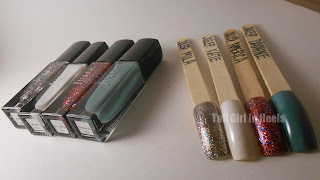 as with Mila, you'll need two coats of your top coat to achieve and smooth finish. This is my first patriotic polish. Do you own any? I'm very happy with this box. I did receive and atomic bomb candy, but my two year old sneaked and ate it. What box did you get this month? Are you happy with your box? OMGosh!! Thanks for the promo code. I just did it. So pumped to receive this! !